Russians are highly regarded for their scientific expertise, their resilience and ability to adapt to the bitter weather as well as for their traditional cuisine which gave the world dishes like the borscht, the sweet blini, and the pelmeni. However, when it comes to gambling, the legal climate in the country is just as bitter as that in Siberia. As of 2006, almost all forms of landbased and online gambling on the territory of the Russian Federation were officially banned by law. Several years later, a new legislation was enforced that allowed landbased gambling only in four specific zones of the country. These restrictions, however, have hardly prevented Russian players from betting on the web since partaking in interactive gambling activities remains a popular pastime among many citizens despite the fact the Russian government has blacklisted an excessive number of foreign gambling operators. However, If Russian players put some effort in it, they will certainly come across online casinos that are willing to accept registrations from this jurisdiction. Read on, if you are interested to know more about the current legal landscape in regard to online gambling in the biggest country in the world. During the Soviet regime, all forms of gambling in the country were prohibited by law. The first legal gambling establishment in Russia opened doors in 1989, following the collapse of the Soviet Union. This led to gambling venues springing up like mushrooms throughout the country and by 1994, hundreds of landbased casinos were already in operation. One of the biggest issues, however, resulted from the fact the majority of these establishments did not pay any taxes on their profits. At the turn of the 21st century, gambling had become a major problem for the Russian government. In 2002, there were as many as 60,000 slot machines in operation in the Russian capital of Moscow alone, with licenses issued by the Federal Sports Agency (FSA). Meanwhile, the regional authorities no longer had a say in licensing and regulating gambling operations within the Russian provinces. This caused a major backlash and as a result, all gambling establishments housing slot machines, card rooms, and tables with games of chance like craps and roulette were officially outlawed throughout the country with the exception of four “gambling” zones i.e. provinces – Yantarnaya, Siberian Coin, Primorie, and Azov-city. All brick-and-mortar gambling establishments, located outside the above-listed provinces were basically forced to close shop overnight when the ban came into effect in 2009. At the present moment, state lotteries are the only legal form of landbased gambling outside the four gambling zones. Needless to say, this ban extended to interactive gambling as well since the government decided to draw up a blacklist with unauthorized gaming operators. At the start of 2015, the authorities announced their plans to commence blocking the domains of the blacklisted gambling websites. Thus, the access to all forms of interactive gambling, including virtual casino games, poker, and sports betting, was severely restricted. 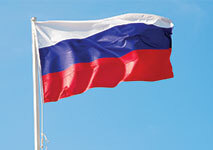 The blacklist consisted of both Russian and foreign online gambling providers. Toward the fall of the same year, the websites of some of the biggest gambling operators in the industry had already been blocked, including established names like Pinnacle, Ladbrokes, PokerStars, Betway, 888poker, partypoker, Full Tilt, William Hill, and Titan Poker. While not all operators are blocked, this “censorship” on behalf of the Russian government renders it quite difficult for players from the country to access gambling websites and wager from the comfort of their surroundings. It would be fair to say the government makes a pretty good job at filtering the websites that provide real-money gambling to Russian citizens. What is more, the blacklist is updated on a regular basis, with the access to more and more gambling websites being restricted. It makes sense that the advertisement and promotion of online gambling activities are also prohibited by law. Furthermore, Russia’s biggest search engine, Yandex, was asked by authorities to take down all site advertisements that openly promoted gambling-related activities over the internet. There are no causes for concern for players, however, as there are no known cases of Russian citizens being persecuted by law for engaging in illegal online gambling activities. The biggest problem players face is finding a way around the ISP blacklist and accessing the blocked websites. Some poker fans from the country have shared it is possible for them to play their favorite game of skill for real money using the downloadable poker clients, offered by popular platforms, such as PokerStars. Russian players who are caught in the act of violating the ban imposed by the government risk incurring a minor fine for participating in illegal gambling activities on the web. However, the risk of being fined for interactive gambling is indeed minuscule since the local authorities appear to have concentrated their efforts predominantly on blocking online gambling operators. In addition, most players do not experience any issues when it comes to processing deposits or withdrawals to and from online gambling websites. However, there is no way of knowing how long this would last, considering the fact the Russian government has so far demonstrated a grim determination to eradicate all forms of interactive gambling in the country. That being said, there are still some online casinos to welcome Russian players as long as the latter manage to actually gain access to their websites. Such casino operators strive to accommodate their Russian customers and in many cases, it is possible to process one’s payments in the local currency, RUB. The websites of many online casinos are also available in Russian which allows players from the country to deposit, play the games, claim various bonuses, and manage their accounts in a convenient, hassle-free, and effortless manner. Since online casino gambling is practically prohibited in Russia, the state regulates only the landbased wagering activities on the territory of the four “gambling” zones, Azov-city, Siberian Coin, Primorie, and Yantarnaya. The Federal Executive Agency is the state institution responsible for overseeing the gambling operations within the four zones. The landbased gambling operators are expected to meet certain criteria before they acquire a valid license. For instance, gambling establishments cannot be located within residential fund properties and the net assets of the companies should be no less than RUB600 million for casino and slot machines operators, and RUB100 million for totalizators and sportsbooks. The net assets of each applicant are calculated by the Ministry of Finance. In addition, the landbased casino operators are expected to ensure the personal safety of their employees and customers. Another requirement is for the customer service areas in landbased establishments to feature a minimum of ten gambling tables. Slot machines, on the other hand, should have an average player return of at least 90%. In Russia, there are taxes imposed on players’ winnings, which is not the case in many countries throughout Europe. More importantly, all profits generated through gambling need to be declared as income by players. Failing to do so is treated as an attempt at tax evasion and as such, would result in additional fines for the violators. That being said, Russian players are required by law to pay a tax of 13% of their winnings. In some instances, this percentage is deducted from players’ winnings on the spot i.e. when they cash out at the cashier of the landbased gambling venue they have accrued their winnings at. In most cases, players are required to declare their winnings as income when filling in their income tax forms. Also, if you are gambling at a Russian casino and are lucky enough to turn a profit, you should by no means forget to take your passport with you since players in Russia are expected to produce their passports in order to collect their winnings. The operations of landbased gambling establishments are also subjected to taxation, with the average tax per gaming table standing at RUB250,000. Brick-and-mortar casinos offering slots must comply with a tax of RUB15,000 per machine while landbased betting shops are subjected to taxes ranging between RUB10,000 to RUB14,000. All material prizes Russian citizens can possibly win are themselves subjected to taxes that amount to up to 35% of their market-price value. The only exception to this rule is when the value of the prize in question is less that RUB4,000. As far as gambling is concerned, the situation in Russia is looking rather grim and unfortunately, shows no sign of potentially improving in the future. At the beginning of 2017, it became clear the Russian government is currently in the process of considering the introduction of a new piece of legislation, similar to the UIGEA (the Unlawful Internet Gambling Enforcement Act) that came into effect in the United States as of 2006. In other words, the idea here is to prohibit Russian banking institutions and financial services providers from processing payments to and from unauthorized websites for interactive gambling. In addition, the Russian authorities appear to be rather consistent with their practice of blocking unauthorized foreign casinos as more and more names are added to the blacklist on a regular basis. There is a silver lining, however. Some industry experts believe that the stricter measures Russia has taken against online gambling as of late can actually be interpreted as a sign the country is moving towards the establishment of a regulated gambling market. This assumption is not entirely unjustified, considering that in 2016 the government already issued its first online sports betting licenses to several domestic operators.